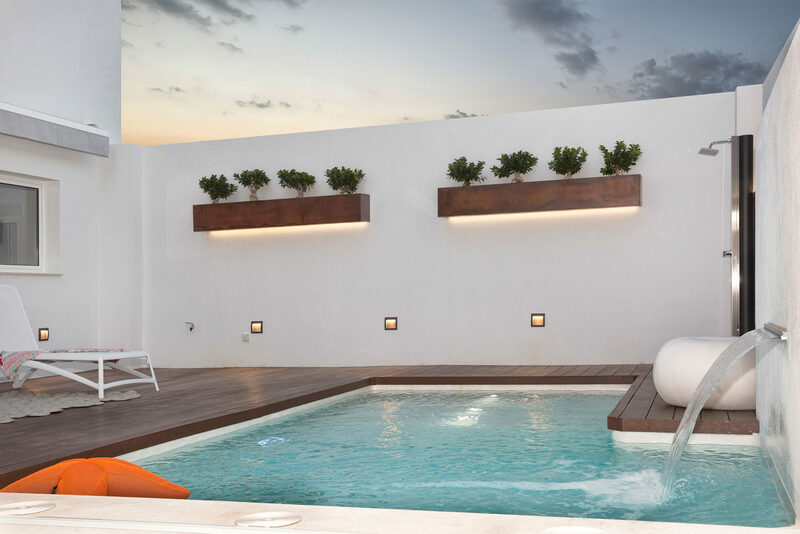 We present a designer terrace in Valencia. 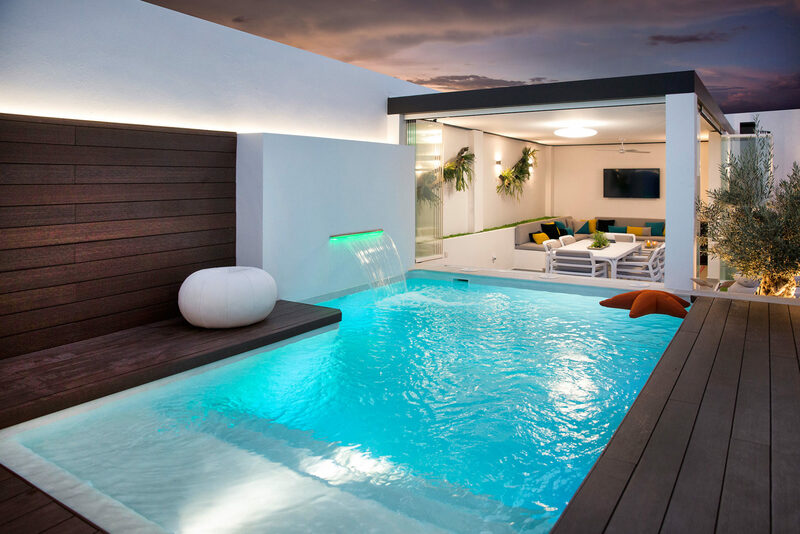 As the main protagonist: the swimming pool. 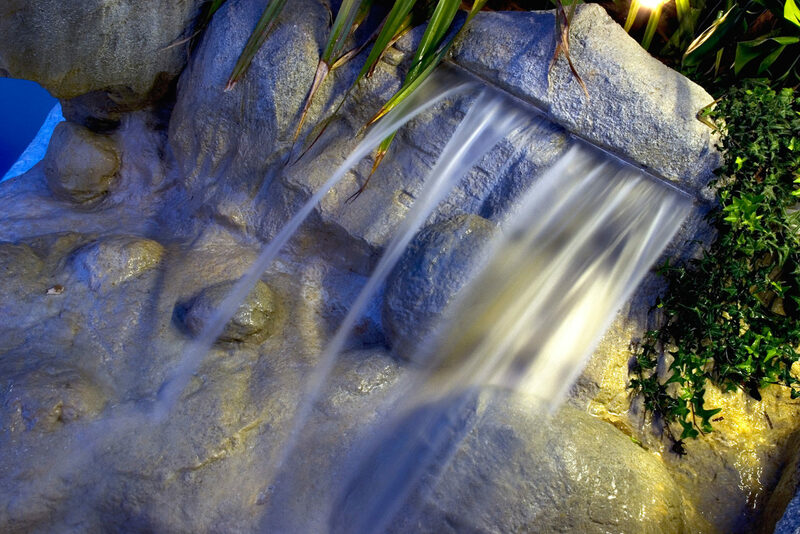 With an easy entrance and an original waterfall it is the perfect place to relax at summer nights. The laminate flooring encircling it provides elegance and creates an inviting area not to leave. 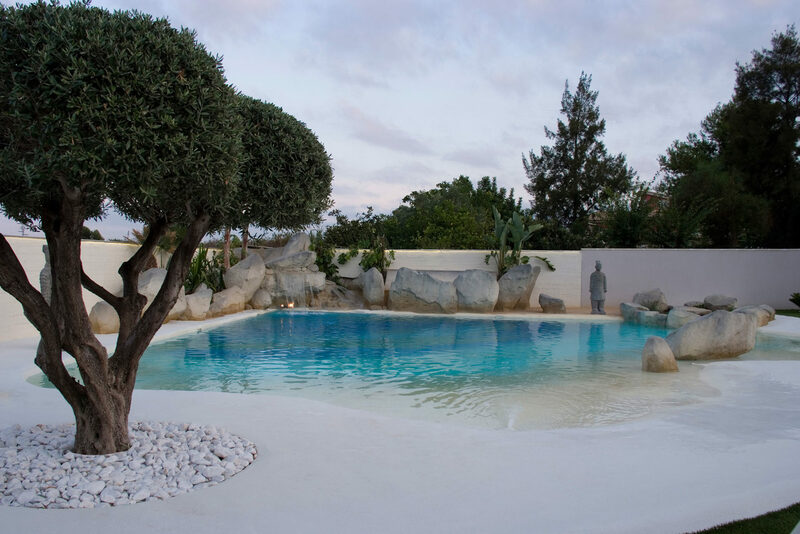 Beside the swimming pool, we have created a glazed room in order to enjoy this exceptional place at any time. 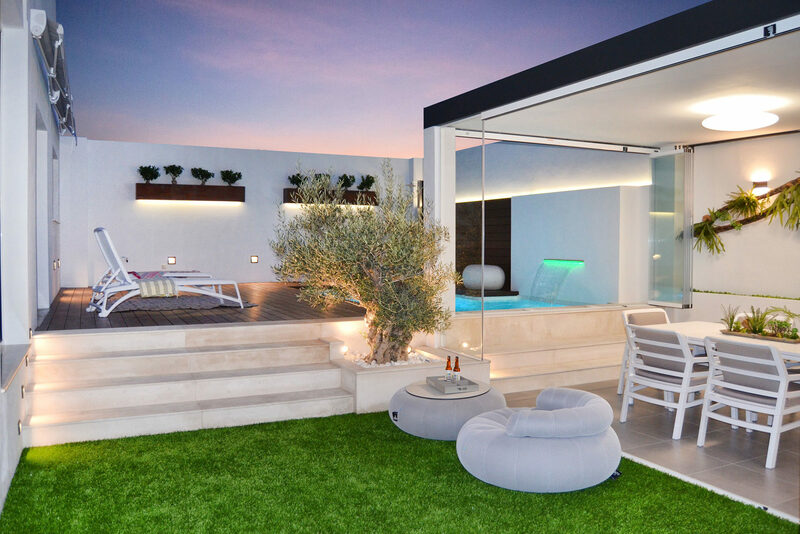 The glass panes allows light and sun enter in winter and, in summer, it can be completely opened allowing the air to go inside and creating a fresh environment. In such a terrace a practical barbecue should be present, encircled by materials with natural appearance like stone, wood and grass. On the right side, a bar designed to ease the work and where to gather around the cook. To finish the set, we have chosen a beautiful tree that help to make the environment more natural and nicer. 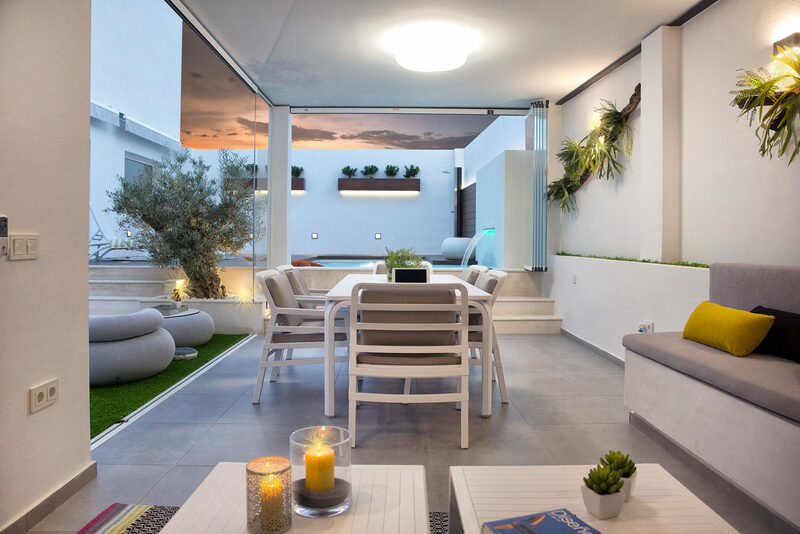 We cannot forget lighting that transforms the area in a charming spot at sunset. Piscina de Arena Santa Bárbara. Hoy os mostramos nuestra colaboración realizando el paisajismo y la tematización en una piscina de arena. Nuestros decoradores del estudio de Valencia han diseñado la roca de la cual sale la cascada, para este diseño escogieron una piedra metamórfica llamada Esquisto. Tanto las tonalidades como la robustez visual eran perfectas para este jardín y la zona geográfica donde está ubicado. 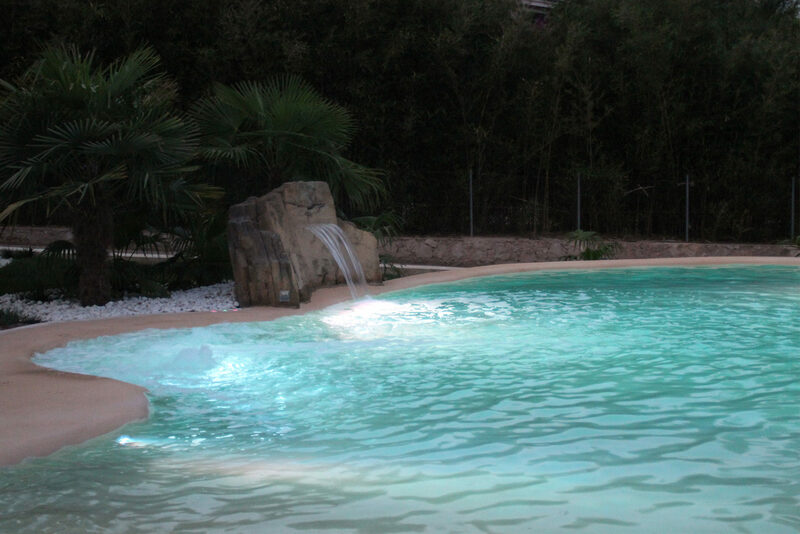 Las líneas de fragmentación y las diferentes tonalidades de marrones aportadas por diferentes minerales a este tipo de piedras es lo que le da el protagonismo al centro de esta piscina de arena. 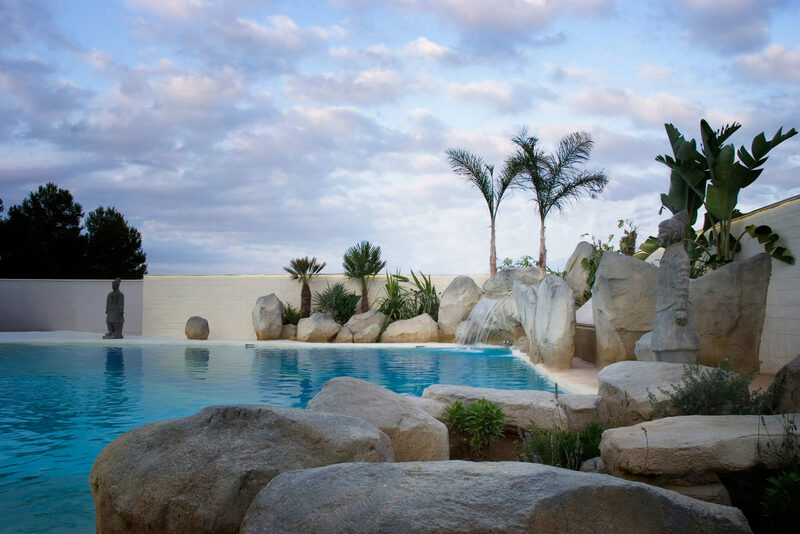 Detrás de ellas encontramos alguna palmera junto con vegetación de arrastre y bolo blanco para aportar el fondo a la visual de la piscina junto a los rosales que ya tenia el cliente. 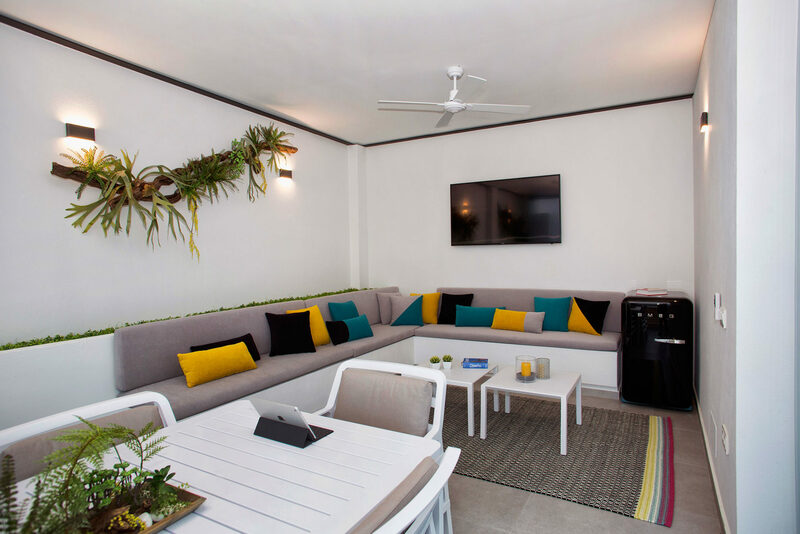 De este modo, creamos un lienzo personalizado para el cliente unificando vegetación de islas paradisiacas y de la zona en la que está la piscina. Sapphire blue warm waters and white coral sand is what makes the Seychelles unique and that’s what we have recreated in this environment so that our can enjoy the peace and quiet of his own private paradise. A deserted beach surrounded by tall palm trees, crystal clear water flowing from the waterfall creating the smooth movement of the Indian Ocean and the gentle whisper of the sea, subtle grey rocks emerging from the sand, all merged to recreate the perfect beach during the day. 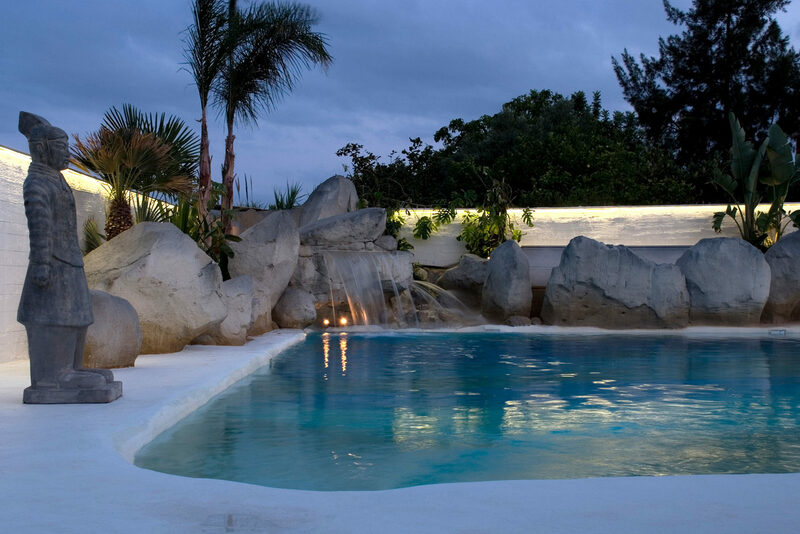 And, at night, we have added lighting to delight in a delicate sunset and continue to enjoy our exclusive Eden.